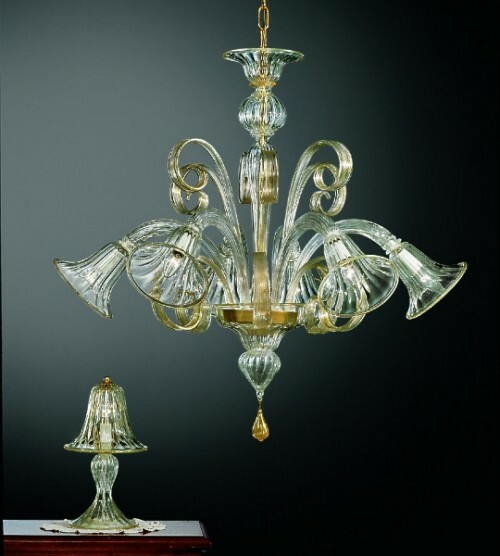 Our series of classic glass lamps are inspired by the classical venetian tradition and distinguished by the special combinations of color and chromatic games of each model. 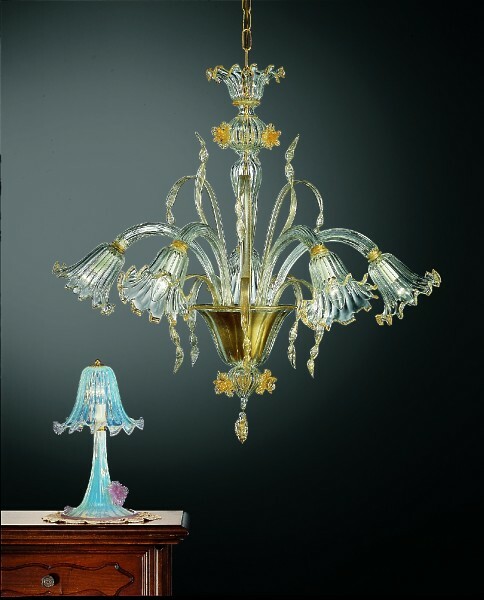 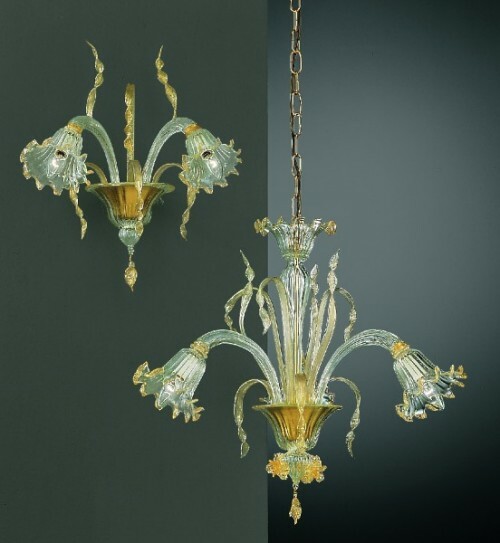 The series recalls the richness of the decor of the reasons classic venetian style chandeliers working with the purposes and valuable as the gold pure leaves, the artistic arms,, pastoral glass and still rings with pendants on each arm. 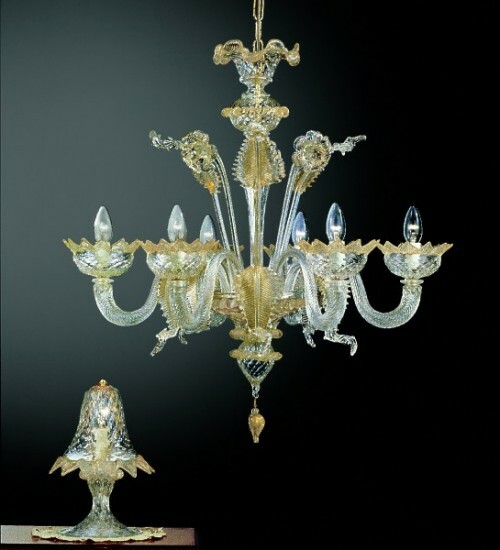 Unlike other products each piece is strictly carried out by hand by masterglass..Thel catalog is for ispired you. 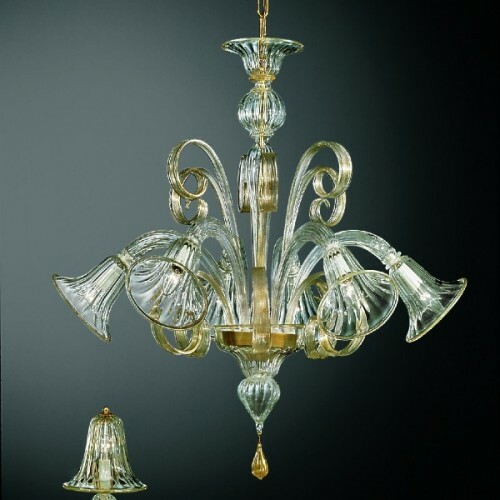 Each product can be modelled and produced which lights and colour yu want. 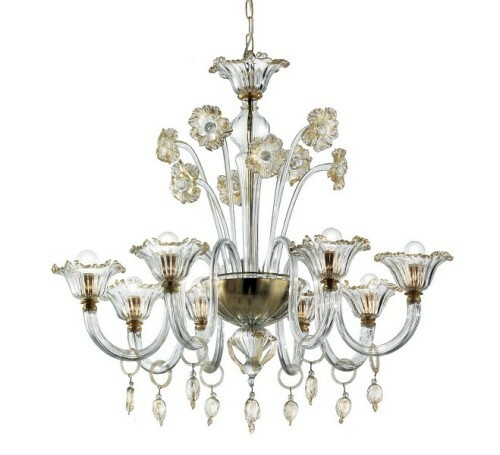 From lights to your environments. 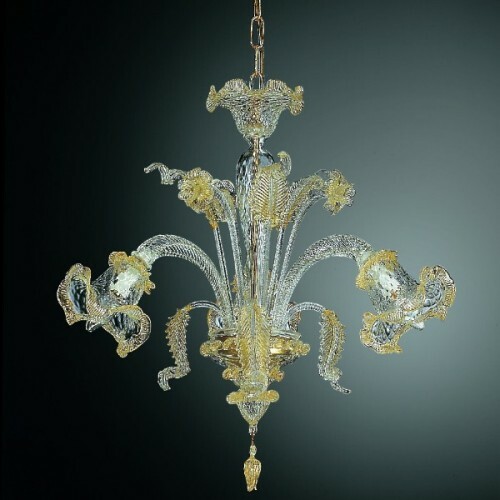 Our light elements such as Chandeliers, table lamps and appliques Murano glass give a touch of class to your environment by creating special atmospheres with unique colors of Murano glass. 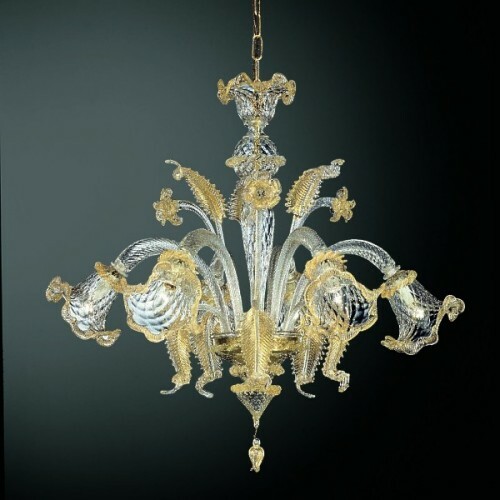 Charm and luxury while respecting the traditions through the working strictly by hand and warm.